A review of The Bazaar and the Bari: Calcutta, Marwaris, and the World of Hindi Letters, by Rahul Bjørn Parson. The premise of Rahul Bjørn’s Parson’s dissertation, The Bazaar and the Bari: Calcultta, Marwaris, and the World of Hindi Letters, is an intriguing one. In the dissertation, Parson examines the history and reception of Hindi literary texts, particularly those produced about Marwaris and by Marwari writers from the 19th to early 21st centuries in Kolkata. In the latter half of his dissertation, Parson calls attention to the rise of Marwari women writers, and their role in shaping representations of their community, which had been historically, linguistically, and socially marginalized within the cultural metropole of Kolkata. In the introduction, Parson makes a distinction between the Bengali concept of “baṛi” or home and the Marwari notion of “deś” or homeland. He notes that often in traditional Marwari households, the bazaar or market was part and parcel of the Marwari home, or baṛi. But neither the marketplace nor the home gave a fully accurate representation of the modern Marwari, whose identity and imagination was closely linked to a separation from the homeland, or deś. Moreover, Parson argues, the Marwaris, who were a merchant community from Rajasthan, “attracted a fair amount of resentment. The insular nature of their networks and the community contributed to the stigma of clannishness that was computed with a host of other stereotypes that attend to moneylenders” (5). He notes that texts such as the Hindi journal Chānd capitalized on stereotypes of the Marwari community in order to push concepts of gender, education, and capitalist reform. Parson also notes how narratives of victimhood and social marginalization were automatically attributed to Marwari women until Marwari female writers such as Prabha Kethan, Alka Saraogi, and Madhu reclaimed their own authorial voice in texts such as Pīlī Āndhī, Kalikathā: Via Bypass, and Khule Gagan ke Lāl Sitāre in the mid-1990s and early 2000s. 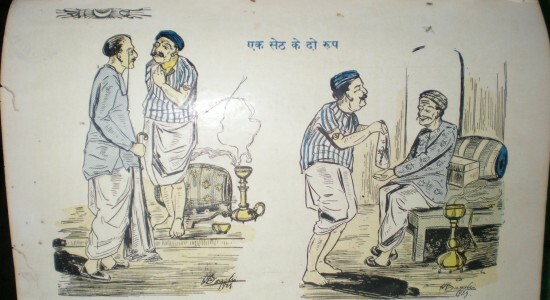 In order to interrogate these stereotypes of the Marwari community within the Bengali-dominated cultural milieu of Kolkata and within the rising world of Hindi letters at the fin-de-siècle, Parson emphasizes the roles that Marwaris, a heterogeneous community, played in the economies of colonial and late capitalism as well as in the development of Hindi language newspapers, presses, libraries, and authors in Kolkata. In Chapter 1, Parson interrogates the role that modernity and merchanthood played in the development of the Marwari identity and polity in the Barabazar district of Kolkata. The derogatory term used by Bengalis for a speaker of the Hindi language, “merua,” derived from the name Marwari, and “by the late 19th century, ‘Marwari’ became an ‘unwanted’ ethnic tag because of the stereotype that they were clannish, socially conservative, religious orthodox, and materialistic” (17). However, Marwaris in Kolkata at the fin-de-siècle built their identity on the communal principles of a high sākh (credibility) rating, frugality, religious piety, tradition, charity, and business reputation (17). Parson notes, that “these values enabled a high coefficient of trust amongst the Marwaris, which in turn facilitated massive networks of overland commerce and communication. But the very aspects of the features that Marwaris hold to be intrinsic of their self and social work, also carry the negative association that have concealed into stereotypes” (17). In the rest of the chapter, Parson explains these principles of Marwari identity in greater detail, notes the 19th and 20th century reform movements targeted towards Marwaris such as legislation on rain gambling, trade, and industrial monopoly, and demonstrates the Marwari contribution to the modern South Asian economy. In Chapter 2, Parson explores the rise of Hindi literature and vernacular capitalism in Calcutta, with a particular focus on the scholarly contributions of Fort William College and the birth of the first Hindi language newspapers in the city in the 19th century. Parson quotes Carey, Ward, and Marshman of Fort William College in their observations of “the unique homelessness of Hindi” in that “Hindi has no country which it can exclusively claim as its own…[but] it is not always understood at the distance of only twenty miles from the great towns in which it is spoken” (39). Parson describes the influence of Braj Bhāṣā and Khaṛībōlī in the formation of modern standard Hindi, and notes that the first Hindi dailies of the 19th century appeared in parallel and at times in conversation with the great literary treatises and periodicals of the Bengali Renaissance. Concepts such as “sati, widow-remarriage, women’s emancipation, kulin polygamy, age of consent, and the sinfulness of sea-voyagers” which were central reform debates within the intellectual circles of the Bengali Renaissance soon found their way to the non-Bengali, Marwari residents of Barabazar in Kolkata (42-43). Many of these discussions on reform, religion, and women’s education and rights circulated in Hindi language newspapers such as Bhāratmitra (1878) and Mārwāṛī Gazette (1890-1898). Through these Hindi language newspapers, Parson argues, the Marwari community in Kolkata was able to engage with reform movements and intellectual ideas coming out of the Bengali Renaissance in the 19th century as they were able to politicize and become active members of the Swadeshi movement in the early 20th century. In Chapter 3, Parson focuses on some of the most critical and controversial stereotypes of “the Marwari” as presented in Hindi texts such as Chānd (1896-1942), a Hindi language women’s literary journal, and in reformist journals of the 1920s such as Mārwāṛī Sudhār, Mārwāṛī Agrawāl, and Matwālā. Perhaps, the most troubling representations of Marwaris, as seen as an outsider community within Kolkata and within the larger sphere of Hindi letters, appears in Chānd’s Mārwāṛī Ank (1929), a special issue of the popular journal that was dedicated to reforming “backward Marwari practices.” Parson notes that “these papers carried numerous articles on women’s emancipation, girls’ schools, widow remarriage, and the age of consent,” in addition to “economic-nationalist articles” targeting Marwaris to “reduce the drain of wealth and poverty of India by opening banks and factories and curtailing usury and imported piece good commerce” (62). However, the reform movements and rhetoric aimed at the Kolkata Marwaris, a community which had largely funded Hindi newspapers and publications in Kolkata from the mid-19th century onwards, was not always benevolent. As Parson observes, “Marwaris are discussed in the ank as parasitic vermin infesting the national body” (62). Mārwāṛī Ank provided visual and written caricatures of the Marwari community, targeting and ridiculing Marwari wealth and gender practices. Editorials in Chānd describe how the contemporary Marwari community in Bengal derived from the Maharajas of Marwar among other Rajasthani kingdoms, and how these Rajas had become economically and politically impotent under the British Raj, and prior to this defeat, had been depraved in their practices towards women and their subjects. Chānd ridicules contemporary Marwari culture at large: “then in Mewar – thousands of women singing dirty songs and men gathering around” (67, 72). Parson argues that the literary pieces in the Ank were thus “meant to illustrate Marwari backwardness and pitiable available forms of Marwari womanhood” (65). Thus, Marwari institutions, from vernacular capitalism to histories of purdah and child marriages to the role of women in contemporary Marwari society to even Marwari charity, were “dismissed as unclean” (71). By occupying a space between documentary reportage and social criticism, Chānd aimed to socially condemn and sensationalize the Marwari community for an already critically reform-minded audience. In Chapters 4 to 6, Parson examines the writings of Marwari women authors, namely Prabha Kethan’s (1942-2008) novel Pīlī Āndhī (1996), Alka Saraogi’s novel Kalikathā: Via Bypass (1998), and Madhu Kankaria’s novel Khule Gagan ke Lāl Sitāre (2000), in light of discussions of Marwari identity, cultural stereotypes, points of reform, economic prowess, and financial identity. Parson argues that “movements in Hindi literature and also the influence of Indian feminists broadened the possibilities for the type of subject expression available” to Marwari women writers in the late 20th century, and that “this new literature [of the late 1990s] gives Marwaris a literary past in Hindi; one in which their collective history and identity can be imaginatively explored. And thus Hindi, for Marwari women, becomes a liberating medium…and is again implicated in the process of reform” (85). Kethan’s Pīlī Āndhī, which is narrated from the point of view of Kiśan, a male Marwari businessman, explores the conflicts between tradition and modernity, adopted homes and cultural deterritorialization, and between the bazaar and baṛi. In Kalikathā: Via Bypass, Saraogi also focuses on the livelihood and historical memories of Kishore Bābū, a Bengali-speaking Marwari man who demonstrates a complex relationship to his Marwari heritage as he struggles to fit into the political and cultural milieu of Kolkata. The novel switches back and forth between the flâneur-like Kishore Bābū’s memories of a politically active, anti-colonial youth in the 1940s to his present day disenchantment with the commodity-driven, Hindutva-influenced culture of the 1990s. In the fourth analepsis of the story, the novel does address the plight of Marwari women in the 20th century by showing how “the historical disjunction…is the shift from active women in the 40s to the passive women of the following decades” (132). However, Madhu Kankaria’s novel Khule Gagan ke Lāl Sitāre most directly addresses the role and representations of Marwari women in the 20th century. The novel focuses on Maṇi, “the first woman in her family to attend the university,” who becomes embroiled in the political radicalism of the Naxalite Movement during her college years at Presidency College in the late 1960s and early 1970s (140). Maṇi falls in love with Indra, a Bengali bhadralok revolutionary, who disappears during the height of the Naxalite revolution. Twenty-six years later, Maṇi tries to piece together Indra’s last days as the novel explores issues of female Marwari identities and agency directly while also dealing with “issues of Marwari identity, otherness, and deterritorialization in Bengal” (141). Parson argues, that “the poles of Bengaliness and Marwariness, Naxalism and Jainism, begin to dissolve in the first person narrator, Maṇi, in an almost inadvertent move towards the synthesis of Calcutta’s extremes…the narrative achieves this by examining the Naxalite legacy through a Jain consciousness and treating Jain practice through a Marxist lens” (141). As a whole, Rahul Parson’s dissertation is an illuminating read. It presents the history of Marwari literature in Hindi and representations of the Marwari community in Kolkata in a complex and nuanced light. Of Parson’s research, his analysis and discussions of the Mārwārī Ank in its ridicule and marginalization of the Marwari community in Kolkata is most eye-opening, as are his readings and analysis of Madhu Kankaria’s novel Khule Gagan ke Lāl Sitāre, in which the central protagonist of a Marwari novel is a woman who redefines not only the contemporary the Marwari identity and community of Kolkata in the 1990s, but also interrogates Marwari gender roles, traditions, and oppressive social practices of the past. The dissertation also bridges the gap between historical and literary scholarship and delves into feminist criticism. It offers a fruitful read for anyone interested in regional literatures, languages, and identities in South Asia, especially those of marginalized communities and minor literatures. University of California-Berkeley. 2012. 175pp. Primary Advisor: Vasudha Dalmia. Image: “The two sides of a great merchant” from the 1929 Marwari Ank (special issue) of the journal Chand.